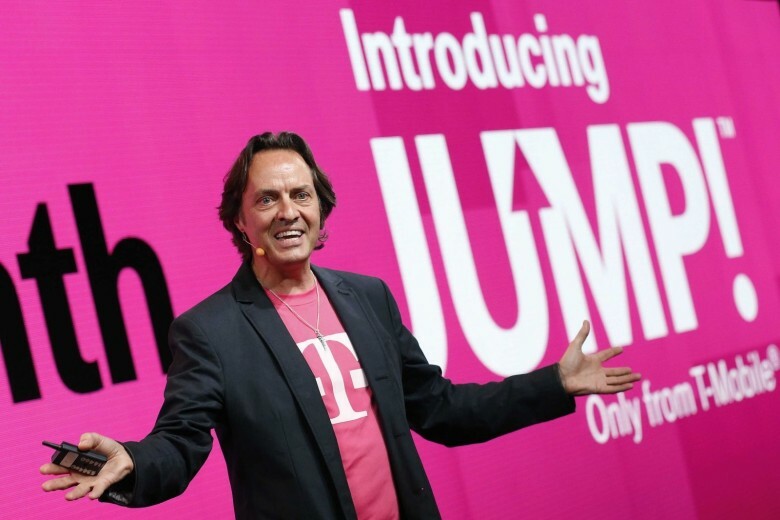 A merger between Sprint and T-Mobile could be back on the table, according to a new report that claims informal talks between the two carriers sparked up again this week. Sprint attempted to acquire T-Mobile back in 2014 but the deal fell apart because of regulatory concerns. Now the heads of both companies have expressed to investors that they’re willing to consider consolidating again. Although banks haven’t been formally hired yet to help structure a merger, Bloomberg reports financial firms are jockeying for roles if a deal comes together. Executives at SoftBank, Sprint’s largest shareholder, recently began informal contact with T-Mobile owner Deutsche Telekom AG. Over the three years that have passed since the last time the two companies talked merger, T-Mobile has seen its market value rise to $55 billion, making it worth nearly double Sprint’s $32 billion market value. Although T-Mobile is the bigger company, the report says it’s unclear if it would want to be the one acquiring Sprint, rather than Sprint acquiring T-Mobile. Sprint is also supposedly looking into the possibility of striking a deal with cable companies like Charter Communications and Comcast Corp. T-Mobile is currently the third largest wireless carrier in the U.S. with Sprint in fourth place.